Dr. Natasha B. Leighl, M.D. Natasha Leighl is a medical oncologist at the Princess Margaret Hospital, Toronto, Canada, and Associate Professor in the Department of Medicine at the University of Toronto, Toronto, Canada. 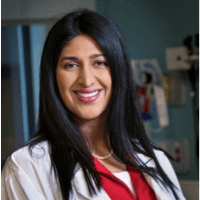 After receiving her MD from the University of Toronto, Dr Leighl completed residencies in internal medicine at the University of Calgary and in medical oncology at the University of Toronto. She subsequently completed a Fellowship in Thoracic Oncology with Dr Frances Shepherd at the Princess Margaret Hospital, a Fellowship in Clinical Oncology with Professor Martin Tattersall at the University of Sydney, Australia, and received her MMSc in Clinical Epidemiology at the University of Newcastle, Australia. Dr Leighl’s main interest is in developing new treatments in lung cancer. She is a member of the Lung Disease Site Executive and co-chairs the Committee on Economic Analysis in the NCIC Clinical Trials Group. Dr Leighl is currently Web Editor of the Journal of Thoracic Oncology, Section Co-Editor of The Oncologist and Current Oncology and a member of the editorial board of the Journal of Clinical Oncology. She has served on several committees including as Lung Track Leader for the American Society of Clinical Oncology (ASCO) Cancer Education Committee, the Royal College of Physicians and Surgeons of Canada Medical Oncology Examination Board and the International Association for the Study of Lung Cancer (IASLC) Career Development and Continuing Education Committees. She is currently President of Lung Cancer Canada and has recently been awarded the OSI Pharmaceuticals Foundation Chair in Cancer New Drug Development at the University Health Network, University of Toronto.